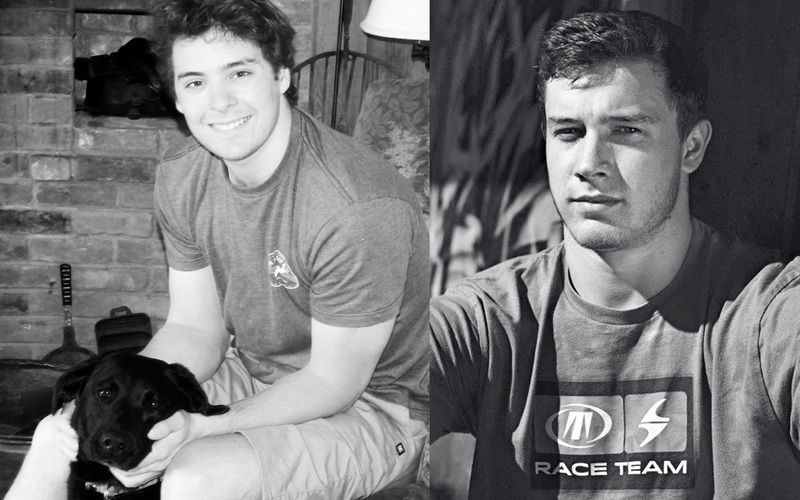 Ronnie Berlack and Bryce Astle, among the United States’ best chances for the next winter Olympics, died on January 5, 2015 in an avalanche in Austria while practicing with the US Ski Team Development Team. Six skiers took a chairlift to the top of 10,000 ft Gaislachkogl which surmounted an Austrian ski area the Team used for Winter Training. They started to ski down via a groomed cat-track that descended in large gentle loops. What they didn’t know or perhaps have top of mind was that in the Soelden ski resort as in much of Europe, skiing off-piste was skiing in uncontrolled avalanche terrain. The boys were expert skiers. They saw a short cliffband that would give them thrills, let them catch some air. Cautious, they skied in pairs. Berlack and Astle were the second pair to head out. They, or the last pair above them, likely triggered the avalanche that swept down and engulfed them. The other skiers either managed to ski off the behemoth and out to safety, or were not in its path. The avalanche thundered 1500 feet down the slope. The young men were buried deeply. Their teammates immediately started a rescue using their skis as probes. 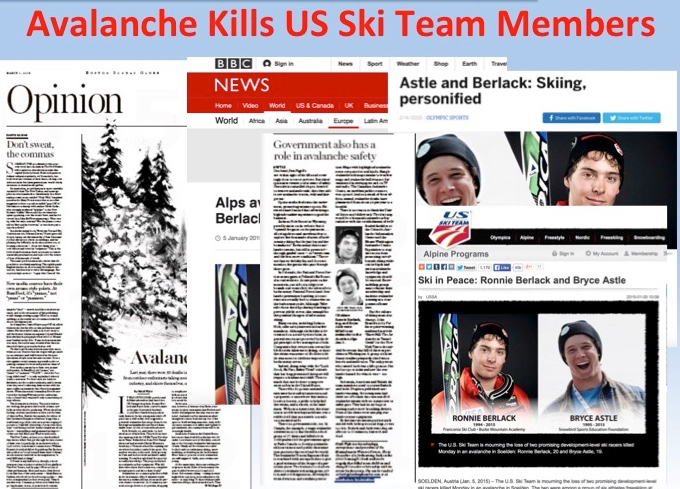 None of the teammates carried avalanche gear; Berlack and Astle were not wearing avalanche transceivers. Without this gear, it was a needle in a haystack search. 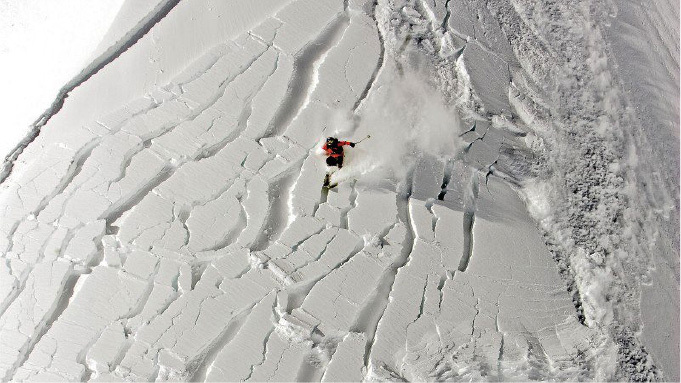 Avalanche awareness is crucial. If they had been snow-aware, perhaps Ronnie and Bryce would be winning races today.